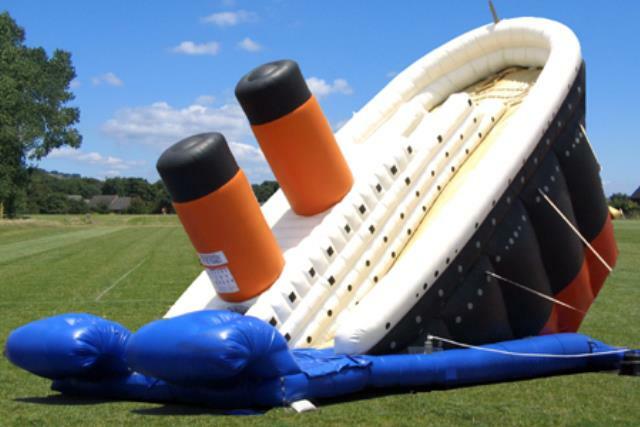 This awesome giant slide captures the feeling of the real Titanic. Adding to the realism of this ride are the famed triple screw propellers and rudder. One could almost believe the ship is sinking! Who will survive the slide down? This dual slide captures all the excitement of the famed ocean liner on its maiden voyage.